At Westpoint Honda Sales, our Honda parts department stocks Genuine Honda Parts so that your New Honda, Used Honda or Demo Honda maintains the utmost level of safety and continues to perform like new. Whenever you book a Service with Westpoint Honda Sales, our team will fit your Honda with genuine parts, to ensure the safety and integrity of your vehicle is maintained. 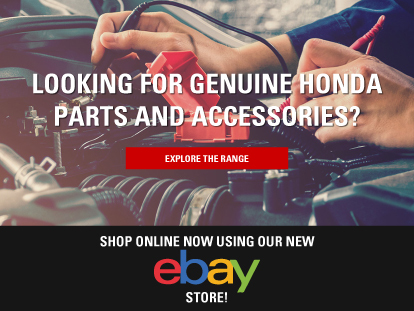 For help finding the right Genuine Honda Parts, or to book your Honda in for a fitting, please Contact a member of our Indooroopilly Honda dealership today.